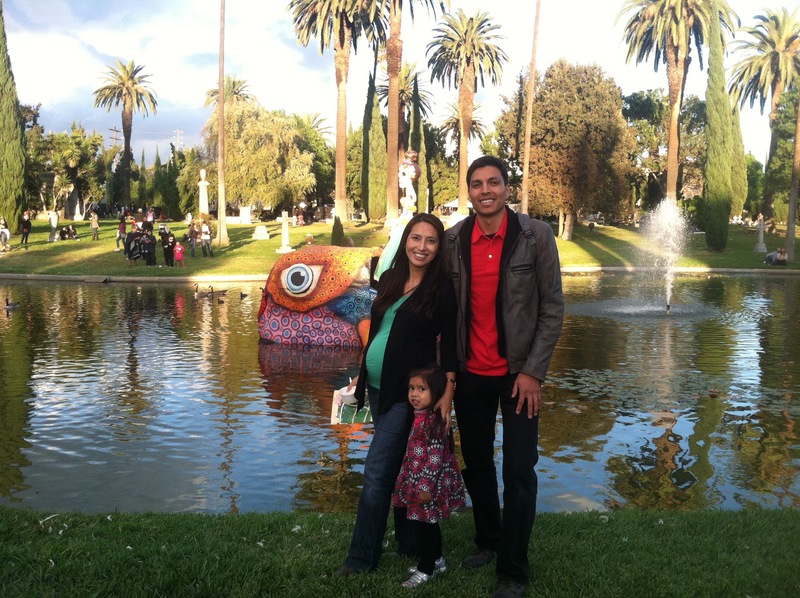 On Saturday November 1st my husband, daughter, and I got to experience celebrating Day of the Dead (Dia De Los Muertos) at LA’s Hollywood Forever Cemetery. 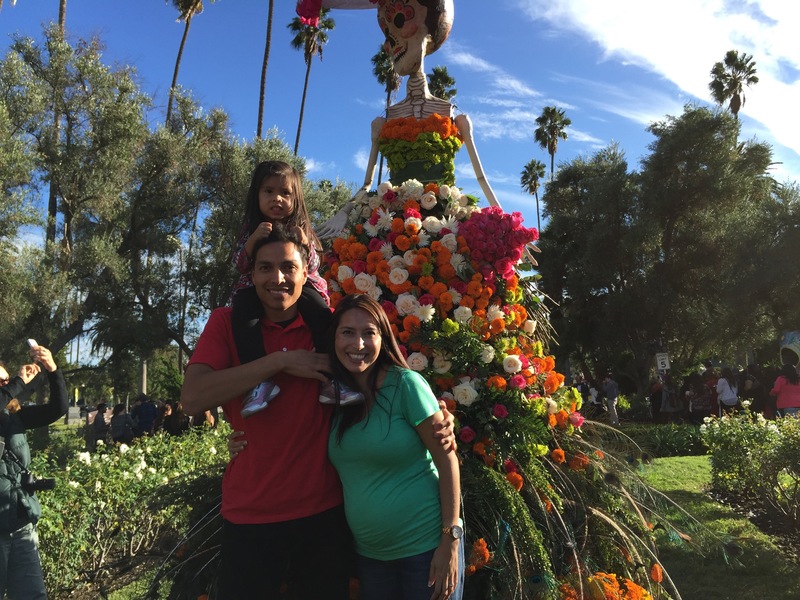 As I had mentioned in my previous post, my parents traveled to our birth place of Tulancingo, Mexico just a few days ago to be part of this special tradition with our family back home. So when my husband shared that there’s a place in LA that was doing their fifteenth annual celebration of Dia De Los Muertos, well I was super excited. 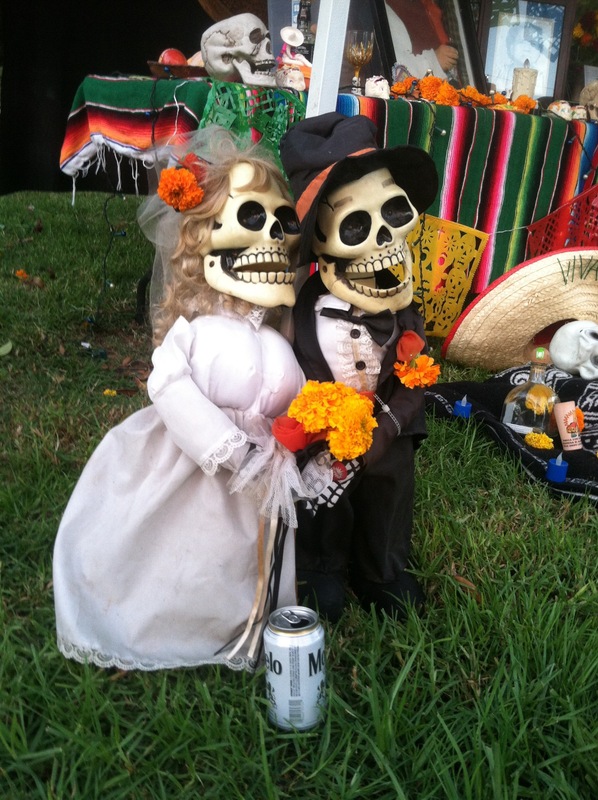 The last time my husband and I got to experience this cultural tradition was in 2008 when we planned a last minute trip to Cancun and we happened to visit beautiful Xcaret on the Dia De Los Muertos celebration. 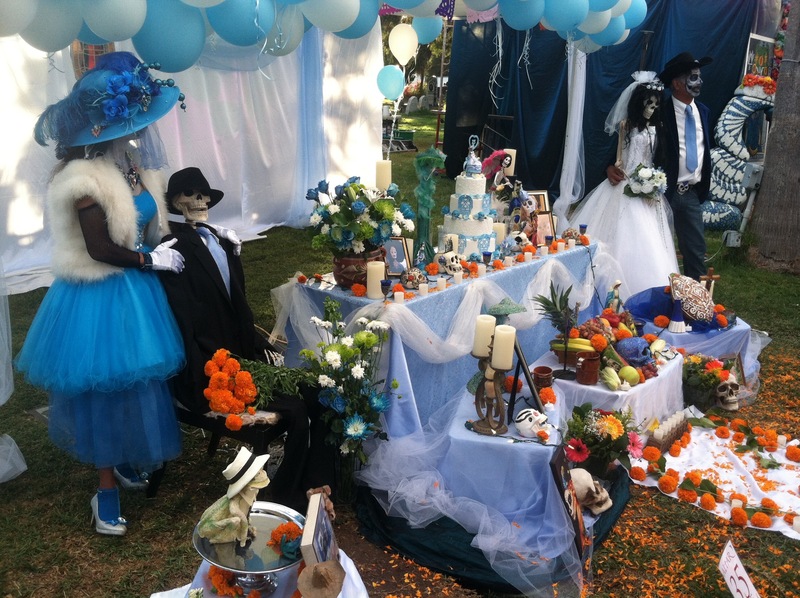 We were in awe of all the beautifully decorated gravestones and the offerings the people put together. 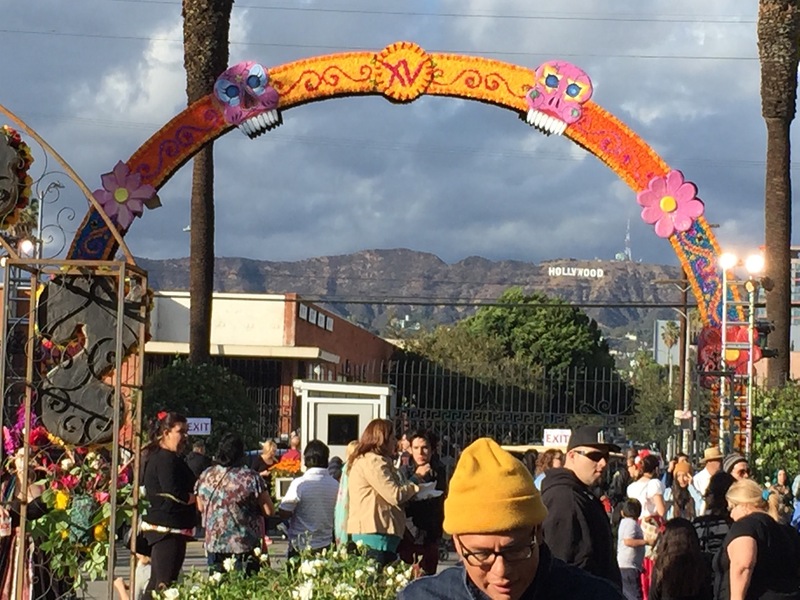 When we got to LA the place was packed and there were so many people dressed in Day of the Dead attire and with their faces beautifully and intricately painted. I wish I had more pictures on my phone, but most of them were taken with my husband’s phone. Here’s a few that I hope you’ll enjoy. Even a rare peek of pictures of us, since I tend not to post too many of us.